I’ve read and read and read some more on what others do during this period. But want some other opinions. 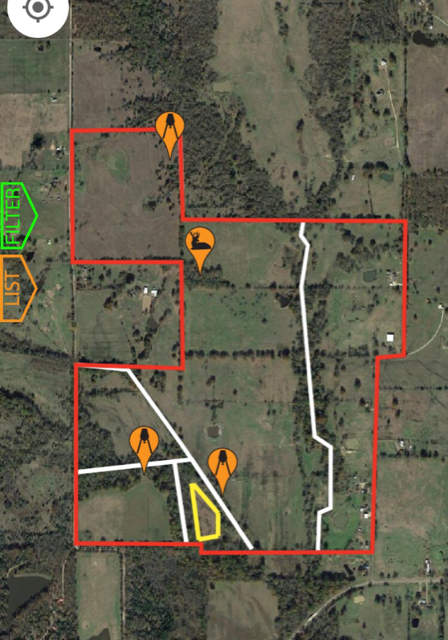 Property is 350ish acres in NE Texas with a lot of pasture for cattle and hay. Neighbors to the north don’t hunt. Some neighbors to the west do. Not sure about south or east but I don’t think so. I’ll post an aerial view. White lines are creek beds. Yellow outline is what I’m thinking for a spring and fall plot. The top deer feeder is where I have a feeder and hand corned about 75 yards away. 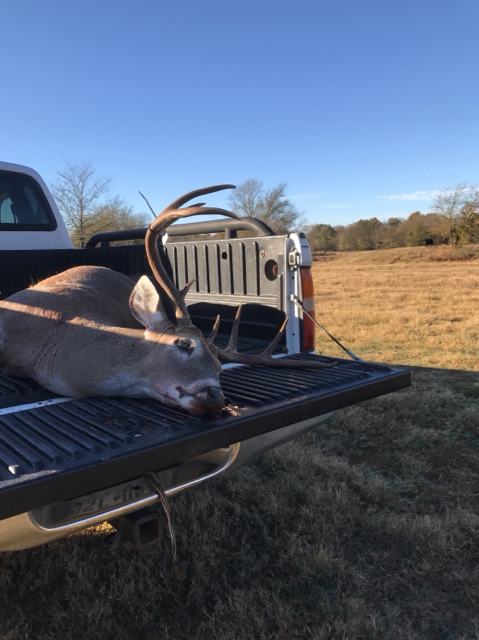 Shot a buck there this year. The deer icon is where I see doe often bedding down. Bottom left feeder is a place I’m thinking about putting a spinner feeder with roasted soybean and corn mix. 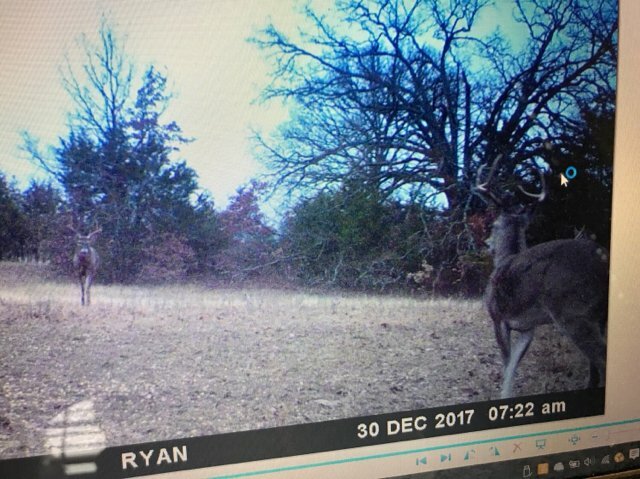 Bottom right is where I have a feeder and hand corned about 75 yards away (saw 3-4 good bucks here last year but all were slightly out of bow range). All feeders will have hog panels (8-12 panels per pen). I may throw a spare feeder on the NE side of the property without one for hogs. I have typically just fed corn from August - February or when the feeder ran out. My main goal is to attract bucks year round for more sightings during hunting season while adding some nutritional gain. I’ve only seen three bucks while hunting this year (one 6 point, an old ugly cull + the one I shot). Last year, I had maybe 7 sightings all year. The does come in regularly. 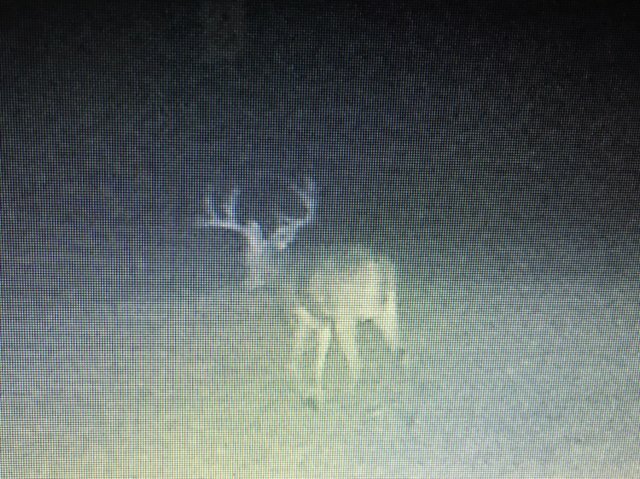 I know there are decent bucks here, but the sightings during season are minimal. Not just in person, I don’t get a lot on camera at night either. Hogs weren’t an issue last year and weren’t an issue on the north part of the property this year. But the panels should fix that. I’m thinking about putting a large pen on the north side where the feeder is with a feeder throwing roasted soybean/corn mix and having a free choice protein feeder. Game Winner has a 3 way head with an adjustable baffle to increase or decrease gravity flow. I would like to try this and see if I can limit the amount of protein expense but still offering some free choice protein. And maybe at a 75:25 mid with protein/corn. I Will plant the food plot in April/May while keeping some corn and roasted soybeans in the two southern feeders too. Does this sound like a half *** decent plan or a waste of money? 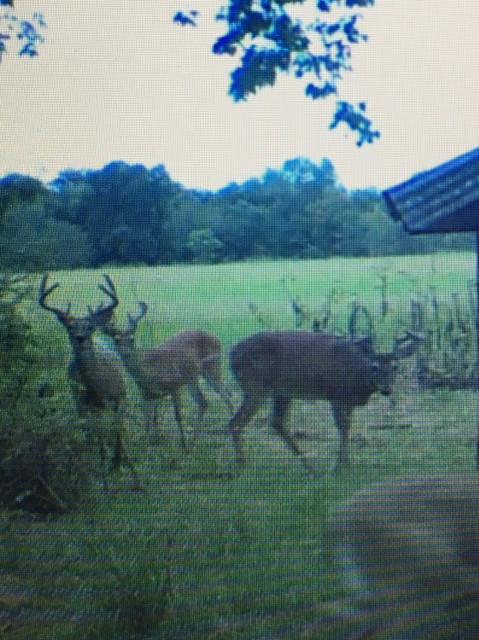 Has anyone thrown roasted soybeans/corn mix year round with success in attracting/keeping bucks close by? I won’t throw a whole lot each day, especially at the feeder by the protein. Maybe 20 secs a day combined from the two southern feeders. 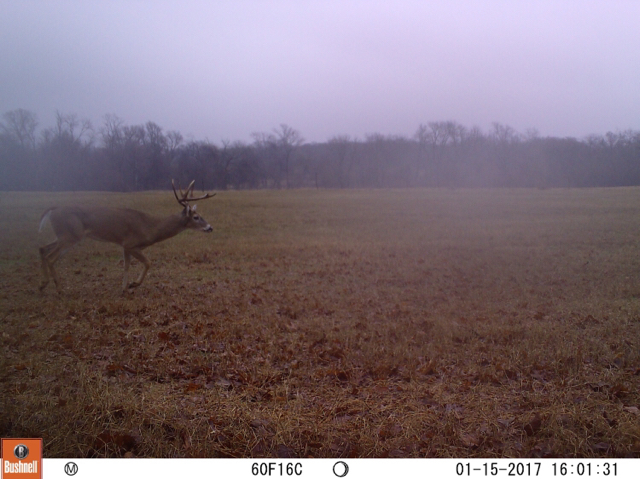 Here’s the map and some of the pics of bucks from the last few years. I just need more sightings of them. They’re definitely smarter than I am. I know by buck:doe ratio is not good but that’s not something I can fix right away. I’m working on it year by year though. 2017 Bucks. Everything else was 7 points or less. Kind of a down year. Buck I killed. Gross 136 1/8 with 21.3” spread. Never saw him on camera or in person before this encounter. I would suggest that you get a Hammer feeding system and possibly a Krivoman timed protein feeder if you don't already have a feeder. This will be a much better idea to regulate the protein consumption. If you have sufficient rainfall then I would plant some spring plots in April or so. Very beneficial info in Elgato's thread and several others in this forum. Following. Nice map and description, Ryan81. Good luck with your place. Looked at my timed protein feeder. It will ration your feed where your budget can be managed, but you deer can still have protein everyday of the off season. We have two of the Krivoman timed protein feeders and they work great! We now feed around 8,000-10,000lbs of cottonseed with the money we've saved from the timed feeders. Thanks. This seems like the best route for me to go. We typically have good rainfall. I plan on doing two 2-4 acre plots. Thanks. 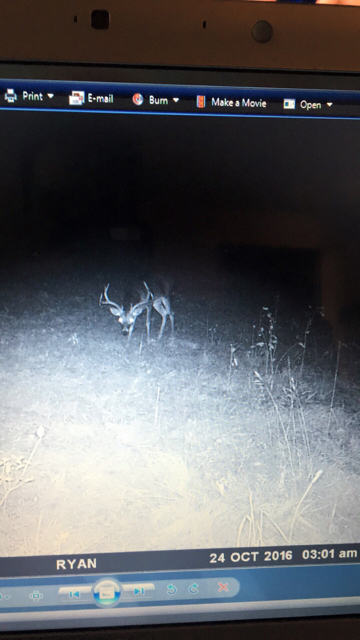 I’m anxious to see what some protein and plots will do as far as holding bucks nearby. Also, love that HuntStand app. Very useful! I know the land extremely well so the stand placement tools aren’t that useful for me. But the ability to measure distance and acreage is a great tool. Plans for this weekend are to get a feeder back up and running with some roasted soybean/corn mix with a pen around it. Weather permitting of course. I’m not fond of working in the cold rain. I hope in the next week or two to have a timed protein builder placed in the pen. You could have two 1,200 or 1,500lb Krivoman feeders with the hammer feeding system and make them last one month (free choice) or set them to open for a a shot duration at sunrise and short duration at sunset to make the feeders last two to three months. Free choice, 1,500lbs and under,will probably get emptied in 3-4 weeks. Whatever your budget is, the hammer feeding system on Krivoman’s feeders are the way to go. Do you have the hammer time? I probably won’t put it on an actual protein feeder but just a 55 gal drum. They’re cheap and I live 15 mins away so I can fill it up often even if it doesn’t hold as much protein. Spring and fall plots are in the plans. Probably 4-5 acres total. Not much but better than nothing.